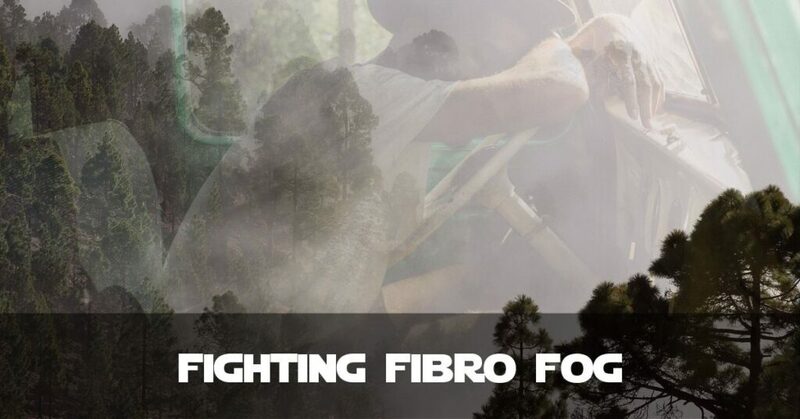 Aside from fighting pain all the time, if that weren’t challenging enough, one of the most frustrating side-effects of Fibromyalgia is so-called Fibro Fog. Also called Brain Fog this symptom causes a feeling of wooliness around the brain which makes thinking (or cognitive function for that matter) intensely difficult. It can make me feel like there’s an invisible expanse between me and the rest of the world. Most of these happen to me. I simply cannot do meetings or phone calls early in the day. As I do my best at working with Fibromyalgia, I have to put some limits in. Fibro Fog, and the fact that my meds aren’t working properly until after 10am most days, stops me from being functional enough if I have to communicate early in the day. Nowadays, I simply do not drive. I can’t think clearly enough at the start of the day to be safe on the roads and, due to Chronic Fatigue, I’m so shattered at the end of the day I can’t really drive back. Thankfully my other half drives and, as we work together, it’s not a massive inconvenience for her either. Aside from work, Fibro Fog really affects me in social situations. I feel a bit claustrophobic in a large group of people and the mistiness prevents me from working out where my attention should be. This includes time at church. I wish my church would discover evening meetings! I would be so much more on the ball. If I just worked for myself, I would prefer to work 1pm-8pm because that’s when I’m more capable. Sadly in the UK, the normal pattern is more like 8:30am-5:30pm. So I have adjusted my times to 9:30am-5:30pm. I still can’t hold meetings at 9:30am but at least I’m there! How Can You Reduce Brain Fog? I can only offer advice I’ve heard from others, along with a little bit of experience. Nothing clears it completely or even consistently, but anything’s worth trying, right? Caffeine: Yep, if I have a morning coffee I can become more cognitively functional quicker. Sadly coffee and fibromyalgia also can add to my pain levels if I consume too much. So it’s about balance. Breakfast: Your brain’s functionality is only as good as what you put into your body. If I don’t have breakfast (because I forget, or don’t have time) then getting into the day is so much harder. So if I get breakfast and coffee, I help myself a lot. Reduce Gluten Intake: According to a few websites, reducing your gluten intake may help you with brain fog reduction (Link). It didn’t help me, but there’s no one-size-fits-all with chronic illnesses. Exercise: Most exercise methods are impossible for me now. Running hurts my legs, walking tires me out in 15 minutes, swimming hurts my hands. I’m not promoting laziness, it’s just hard. But if you’re able to exercise then getting more oxygen to your brain can help. Even having a door or window open to let some air in could help. Fibro Fog (or Brain Fog) can happen in people with or without health conditions. I hope I was able to help someone with this post. And if you have any strategies for combatting the fogginess please post them in the comments – you may help someone by doing so. Ah brain fog. I swear it’s a package deal with chronic illnesses. I have to keep trying to wake my brain up, and caffeine (and talking with my best friend) are the only remedies that seem to work. 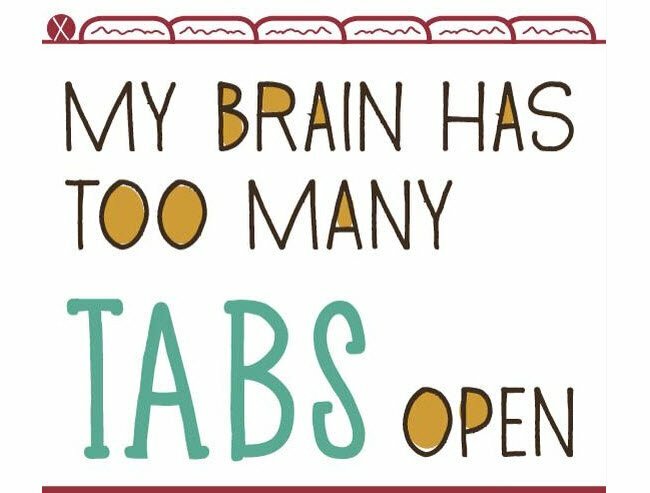 Sadly, I have an abundance of the one that would kill me if I had too much, and a lack of the one that would actually help me stay better. Go figure. I’m gonna try some of these solutions (barring any that my Doctor won’t let me do) and see if they help. Sometimes talking can help, but at the same time talking through Brain Fog is such a hard thing to do. Found your blog on Chronic Illness Bloggers. Very well written and I can so relate to the fog. Look forward to reading more. Hi there my Twitter friend !! I just recently found this and I am soo glad you explained it this way. I also like the pic you have with it. I showed this to husband. I knows he knows I have a problem with brain fog, but I don’t think he realizes just how confusing it is for us. I am replugging this because I think it deserves more attention and it explains it so well. Thanks for helping folks understand some of our problems and most of all thanks for being a friend.Also I totally agree on the night church thing. I cannot get myself ready and out the door on time for morning services. Where I used to live we had choice of 7:30am, 10am and 12 noon services !! Guess which one we went to !!! Thanks for taking the time to reply – and yes brain fog is hard for others to understand. I sometimes think people perceive me to be rude but often what others say actually doesn’t compute. I try really hard, but it’s hard to think through the fog. Glad I’m not the only one to struggle with morning Church… if “glad” is the right word of course! Morning and just around bed time is the worst brain fog for me. My husband is very understanding and tries to help me. I have the bad habit of forgetting what I was going to say or finding that right word. When I type, no matter what time of the day it is. I find myself typing different words than what I meant to type. I give people who still work with these chronic illnesses a ton of credit, because I just couldn’t do it right now. Like a lot of people with brain fog I get confused very easily. Thank you for sharing your experience Lesley. Brain Fog is so hard to fight through and I’m finding it now kicks in at any point in the day. So I wasn’t foggy for the last 2 hours, but now it’s 3.30pm it’s come back again. Working with Fog is really hard, I have to admit! I find focussing on just one task at work far better than several. I find I get overwhelmed if I have too much going on and my mind just shuts down and I stare at the screen. I also find being organised helps a lot, I think it helps that I can file something away (metaphorically speaking) then it’s done and gone and I can get on with something else. Thanks for taking the time to reply David! Yes I agree, multi-tasking make my Fibro Fog a lot worse. My other half plans my work diary, so I can just focus on one task at once. If I don’t do that, or have multiple interruptions, it can make completing/achieving anything really hard work! It is better to compartmentalise time, which is what you kind of infer with your “filing something away” so we’re in agreement there.